The Sherlock Lite is a great, entry-level solution for digital forensic professionals. 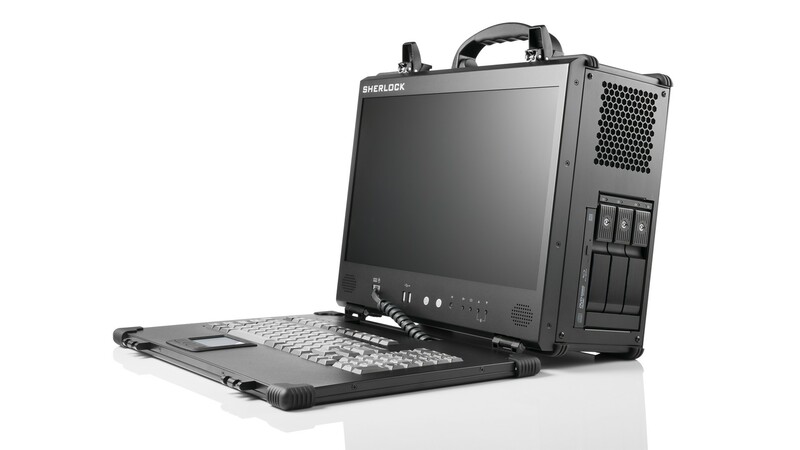 Rather than having bulky equipment and heavy computers, the Sherlock Lite is an all-inclusive portable computer that you can deploy anywhere immediately. With this unit, cloning large amount of data is no longer a hassle. In this compact design, you can integrate the latest Intel multi-core processors, massive amounts of memory, multiple hard drives, and all possible interfaces. Other hardware options such as notebook computers are not an adequate solution because they lack the necessary interfaces, speed, and performance. However, our portable computer is an all-in-one, lightweight, durable, compact, cool and quiet solution for easy data replication. To further make the Sherlock Lite more convenient, it comes with the write-blocker already integrated into the system. At an affordable price, you get an all-in-one, ready-to-go unit. Simply put, the Sherlock Lite makes data acquisition less costly, time-consuming, and tedious. Investigators will be able to capture criminals in the shortest possible time. The Sherlock Lite comes with an impressive number of interface options. It supports all possible interfaces and can be customized to fit your exact needs. This particular example comes with 4x USB 3.0, 4x USB 2.0, 2x eSATA 6.0Gbit/s, 1x Molex, 1x HDMI, 1x Firewire 800, 1x Firewire 400, 1x RJ45 Gbit LAN, and Audio interfaces. By law, data retrieved for digital forensics must not be manipulated in any way. As a result, write-blockers are used to ensure that the data is secured and not altered. The Sherlock Lite makes for a very convenient portable computer because it comes with a write-blocker already integrated into the system. You also have the option of adding 2 more external write-blockers to allow for 3 separate simultaneous data duplication. As an entry-level model, the Sherlock Lite by default does not come pre-installed with our Forensics Master. However, you do have the option of installing it. 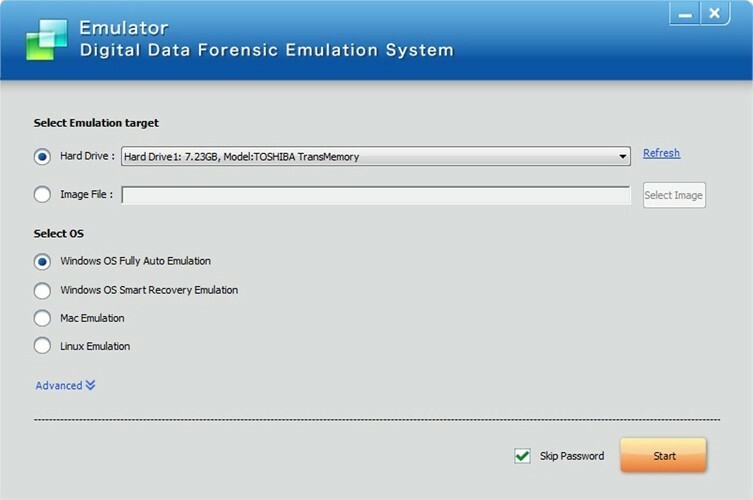 Forensics Master is a powerful digital forensic analysis program. It automates a very tedious portion of investigation. With just a single click, you can acquire system artifacts, user artifacts, browser artifacts, instant messaging artifacts, email artifacts, and more. 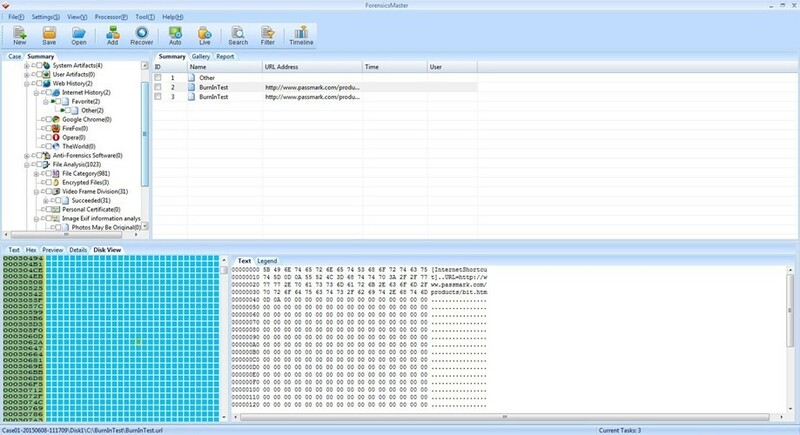 You can also search for anti-forensic and encryption applications. Because of its many features, this program has its own dedicated page. Please click here to learn more about it.